Jennifer Christie reviews In 40 Parts – a concert by Ex Cathedra at Town Hall Birmingham. Ex Cathedra is a leading UK choir and Early Music ensemble with a repertoire that reaches from the 12th to the 21st centuries. Founded in 1969 by conductor Jeffrey Skidmore it presents a series of concerts in Birmingham and throughout the UK whilst also running a comprehensive education programme. In 40 Parts is the current programme devised along the lines of the choir’s distinctive theme of combining well researched old music in dynamic counterpoint to unfamiliar new works. In this concert four composers span 500 years and their music is sublime from beginning to end. As the title suggests the choir sings in an astounding 40 parts. Mostly, the choir is divided into 8 choirs each with 5 parts (SATBB). The singers are arranged in their choirs across the stage and the sound is passed like a wave from one choir to the next. This may have been the earliest form of stereophonic sound. There is much beauty in the ebb and flow of the texture and the blanket of voices that envelops the audience when finally they all sing together, and hits with visceral strength. Thomas Tallis (1505-85) is one of the early music composers featured in this concert. Spem in alium is a legendary work that is rarely performed but anticipated with relish. 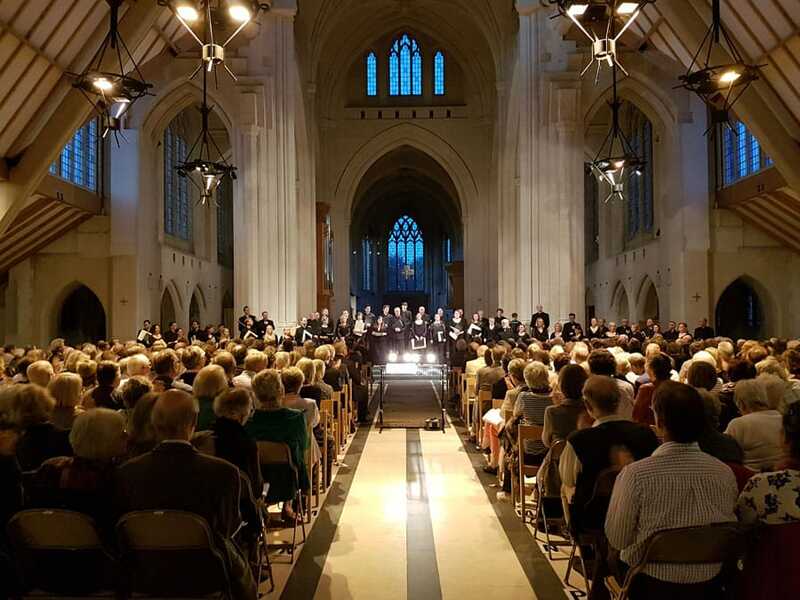 It is performed twice in the programme, the second time with the words Sing and Glorify heaven’s high majesty as was sung at the investiture of Prince Henry, the first son of King James I, in 1610 and the triumphant and celebratory feel is a fitting conclusion to the concert. Most interesting though is the new work by contemporary British composer Alec Roth. Ex Cathedra has had a fruitful relationship with Roth for over ten years and commissioned him to compose Earthrise for its 40th year in 2010. Roth was inspired by the famous picture of the Earth rising above the surface of the moon, taken in 1968, an Ex Cathedra has revived the programme for the 50th anniversary. Ex Cathedra produce a sound of strength in quality and balance of singing that supports the composer’s intentions and embraces its audience. There is one further opportunity to hear In 40 Parts when the choir take the programme to the Royal Concert Hall in Nottingham on the 18th November before embarking on an extensive Christmas programme which includes a London concert. Having lived in Australia since childhood, Jennifer returned to the UK in 2015 to perform in the Edinburgh Fringe Festival and decided to stay. 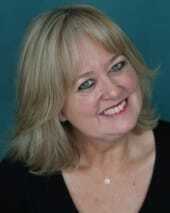 She has been active in theatrical life for many years, working both onstage and as a director, choreographer and vocal coach. In Australia Jennifer taught Performing Arts in schools, specialising in creating large scale productions, and directing choirs. She counts an annual concert of 600 voices in the Sydney Opera House as her favourite day of the year. In London Jennifer is excited to be exploring the enormous breadth and depth of British theatre as an audience member but also onstage and in front of a camera.